I have tried to avoid doing character sheets for a REALLY long time. It’s not that I am lazy. I’m passionate and excited about my stories and characters. So coming to the conclusion I need to go back and interview my characters has been a bit bitter sweet. It’s painful, taking ages, and I am reluctant to do it. However, doing it has led to some really awesome character tidbits, potted histories and development of juicy subplots. No one likes to admit they were wrong, I was desperate to just write the damn story. But I was wrong. The problem was, without the minute detail of a characters life, my story just wasn’t right. It was missing full, deep, rounded and detailed characters that bring texts to life. It’s those details, like the 50pence piece that reminds her of the summers she spent with her now deceased father. She carries that 50pence in her pocket everywhere she goes to remind her to never given up the search for his murderer. It’s those things you need. Don’t get me wrong, I am sure you can weave them into a story as a free writer, but not me. I got some detail in there, but I missed glaringly obvious things, like the fact that my antagonists twin sister actually hated him. What do you know – commence a whole other subplot and set up for book two. I wouldn’t have known that if I hadn’t started these interviews. Now, I have looked at, read, and digested approximately eight trillion character sheets. Ok, maybe one or two less than that. But still. I’ve read a lot. I’ve even downloaded, pinched and plagiarised my fair share. But for life nor money, I couldn’t find one that worked. There was always something missing, or questions that annoyed me. I felt like I already knew the basics – hair colour, eye colour, name and so on, aren’t those the obvious bits? We all know those details about our characters. Those details give me nothing more than a sketch, an outline and the surface of a character. 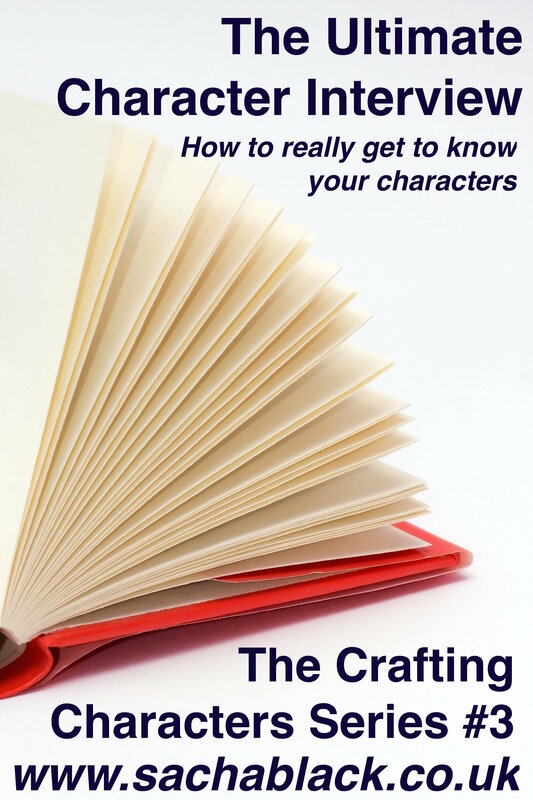 If I want the depth I need to write a publish worthy character then those questions just ain’t cutting the mustard. I’ve been looking for something more. Deeper questions. Those questions that get to the core of someone. What or who would your character kill, or lie, or cheat for? How do you react when someone you love hurts you? Or how do you process emotion generally? Who would you call in the middle of the night for help? Who are your positive relationships with – or negative ones? There are of course the other questions like, whats in your refrigerator, and what talents do they have? But you can see all of that in the template. I thought I would add my template for you all to use. It is of course, created by me, and therefore I could well have left out obvious questions that would help form well rounded characters. I would be interested in your thoughts, do you like it? have I missed things? will you use it? I will update the template with any of your feedback and will re post for your use. And when I finish filling it in I will try and share one with you too. Reblogged this on Tales of Regency times. Hi Sacha, I’m out and about but will read the attachment in due course. In the meantime have you come across http://thestoryreadingapeblog.com/2015/02/09/stunning-photography/ I know Chris aims to help authors but your posts are fab tools and he may well reblogged and get you to a wider audience. If you’re already there great. If not have a peep and see what you think. I think you go to the submissions tab and see if you can feed in through there. He is an amazing resource who deserves a knighthood for the amount he churns around. And I should have said your posts are genuinely helpful so deserve a wider audience. Mine are just light fluff which I hope a few enjoy. And ok I’m fishing for a compliment so don’t pander to my already easily inflated ego…! Lol, you know I think you are hilarious. To be quite honest, I have no idea why you aren’t a best selling comedic author already. Bloody outrage that is. ACTUAL tears I had rolling down my face at lunch. REAL ones too! Is your Dead Flies this funny? IF so it’s getting bumped to the top of the list! I agree with Geoff – great post. And thanks for sharing your template. It looks quite useful, though I am not writing fiction at the moment so can’t really say. Dead flies is funny – a great read. I’m sure you’ll enjoy it. I have tried character sheets, and find they don’t work for me. Other than writing down a physical description (so I don’t start out with a character having blue eyes, then later make them green) I just let the characters tell me their story as I go along. If I attempt building their lives before the story starts, it backfires on me. Each has their own story, and they tell me on a need to know basis. But to each his own. ? My mind works that way too. In a way, I am those people. I found this series on character development on Chris’s blog, so I’m glad you connected with him! I’m following you now, too. Yours looks like a great site. I scored 33, which put me right in with the Gen X crowd and is accurate with my birth date. Sometimes there are outliers, though, people who’s values, characteristics, and interests coincide with a generation other than the one they were born in. Is your character an outlier? Another cool thing rather than an interview might be to answer questions on behalf of your character in a free personality quiz. (I personally like the Keirsey personality test based on Jungian theory of personality types. There are four areas in which you are assessed, resulting in 16 personality types –> http://www.keirsey.com/sorter/register.aspx.) If you answer for your character, you may find out more about them by reading the summary of their personality type. Finding out from your friends what their personality type is–and who isn’t curious?–may help you answer questions about your character. You may, for example, be having difficulty imagining how your character would react in a certain situation. Just imagine a friend with that personality type and how they would react. Lol. I also have a degree in Psychology (B.A.) and favour the Myers Briggs, but you can’t do it for free online. I look forward to the post in this series about it. I just did the millennial test you posted… I scored 91!!!!!!! Not sure if thats a good thing or not? Im 28 so I think I am in the right generation bracket! Yep. You’re in the right bracket. It’s an interesting study.